September 2017 – Barrie Wells – Any sufficiently advanced technology is indistinguishable from magic ! July 2017 – Alan Butcher – What is the value in mapping the world one micron at a time? February 2016 – Jonathan Craig – Can we keep the lights on ? April 2012 – Richard Miller – Peak Oil: Crisis, what Crisis ? Roman or Bronze Age Mine on the Great Orme, Llandudno ? 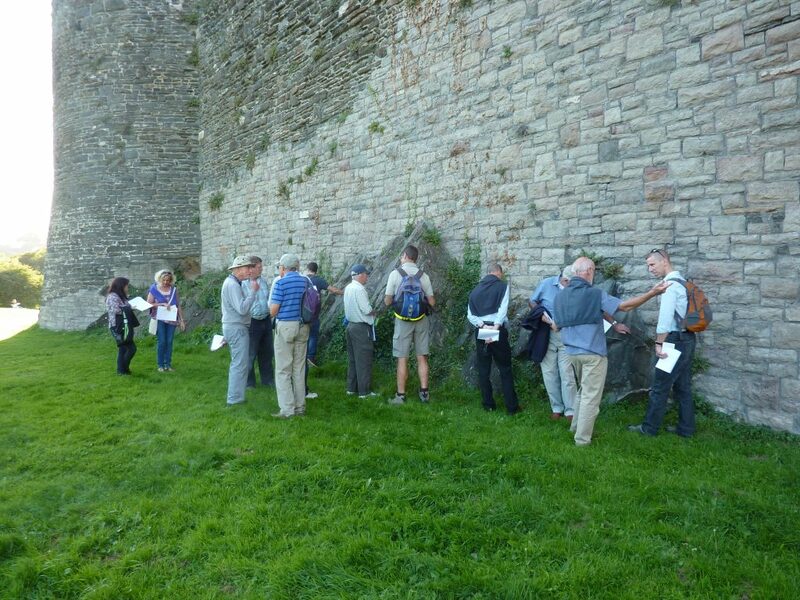 Data Management & Exchange Ltd.
A Geological Trail Around Conwy. 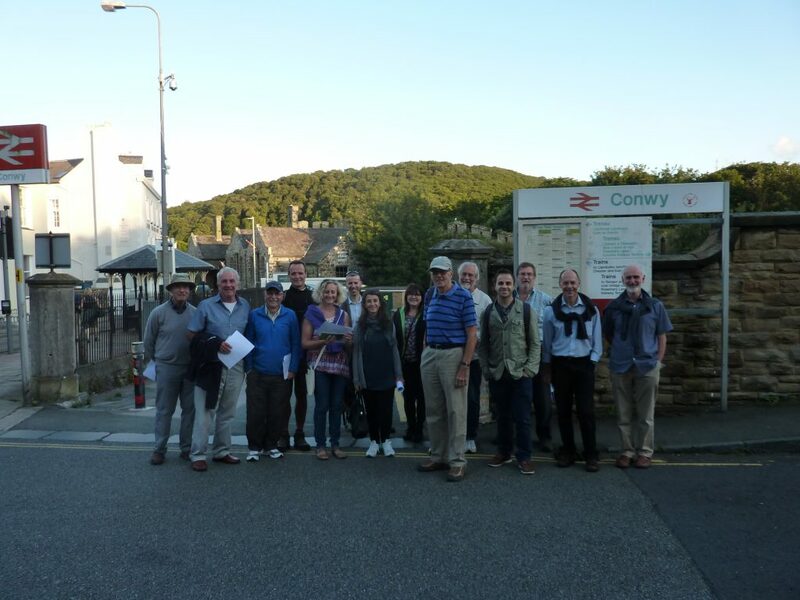 On Thursday 17th August one of our respected Associates, John Church gave 15 of us a guided walk around the town of Conwy. John had been working very hard and researched many aspects of the old buildings, but he also laid on beautiful weather for us as well. 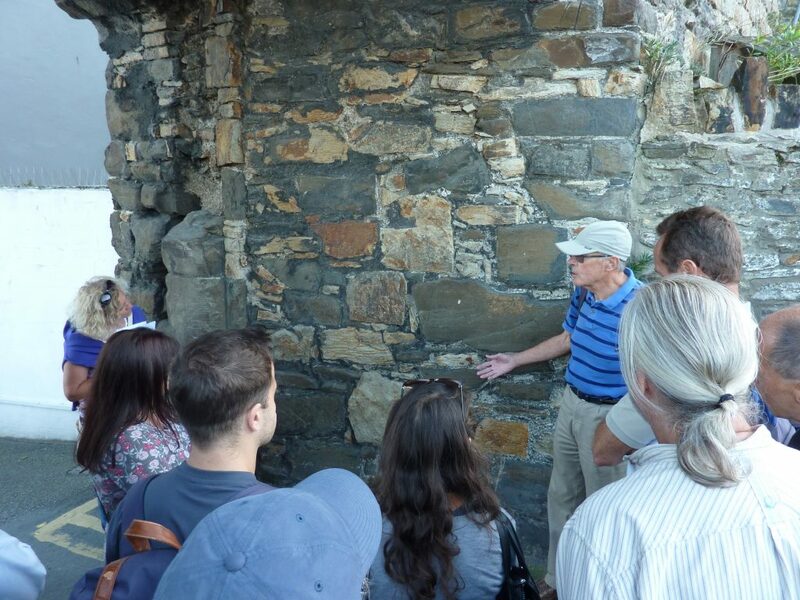 We met at a bar in the Erskine Hotel for a short briefing and then John walked us around the town looking at outcropping rocks and some of the building stone used from local sources. During the walk we generally moved up the stratigraphic succession from seeing Cambrian rocks and buildings stones to Silurian ones. 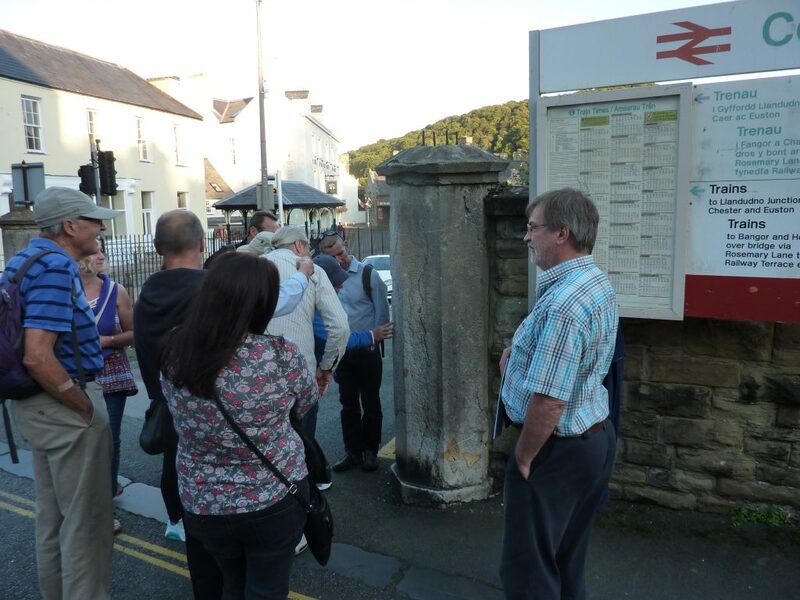 Our final location was an excellent finale, a set of two Carboniferous Limestone pillars at the entrance to Conwy Railway Station which had massive Lithostrotion corals. We ended with a lively discussion in The Albion Pub where a mix of the history of the buildings and town were interspersed with a number of detailed conversations about the geology of the rocks and building stones seen. We all benefitted from the RIGS town guide ( Regionally Important Geological Sites ), previously prepared for RIGS by Rob Crossley plus a route guide we had prepared. The link below is the map and guide that Geoscience Wales had prepared for each of those present. March Cluster details and Early warning – date change !